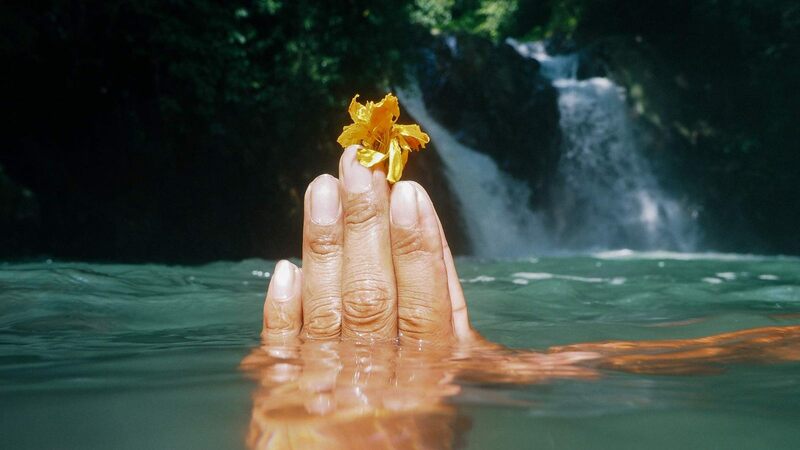 Hello from Bali. It's sunny, hot and full of colours. 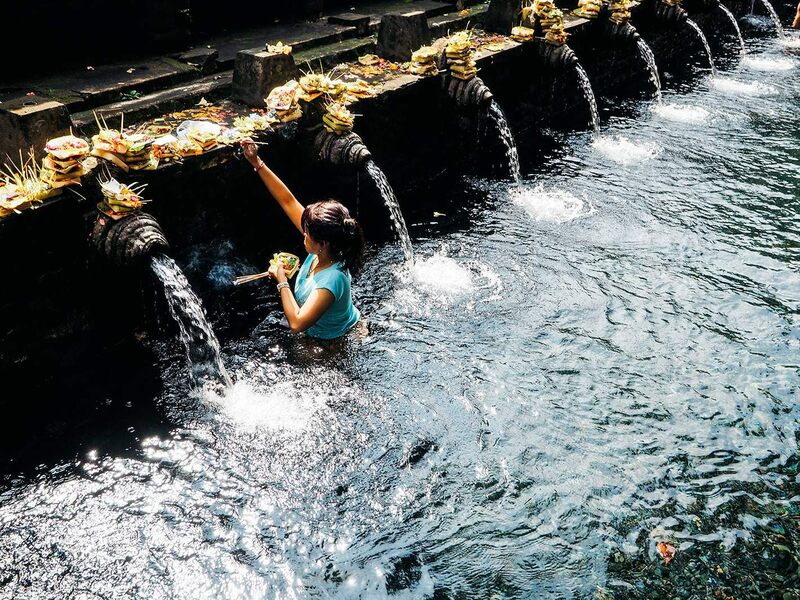 I came to Bali to learn about the culture, traditions and to spent couple of weeks of lush, waterfalls and snorkelling. 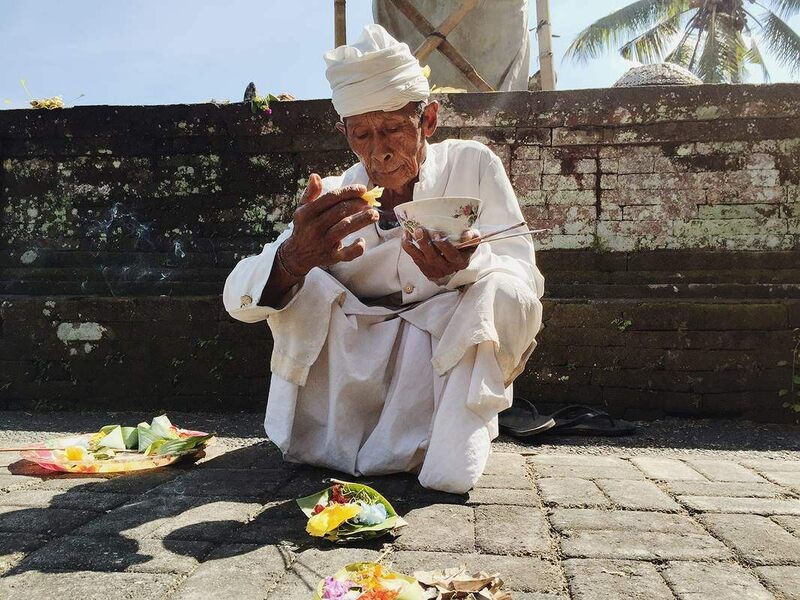 Today, I would like to tell you about tradition of offerings or in other words 'Canang Sari'. Red flowers which point to the south symbolise Brahma - the creator god with four faces, each face looking in one direction. 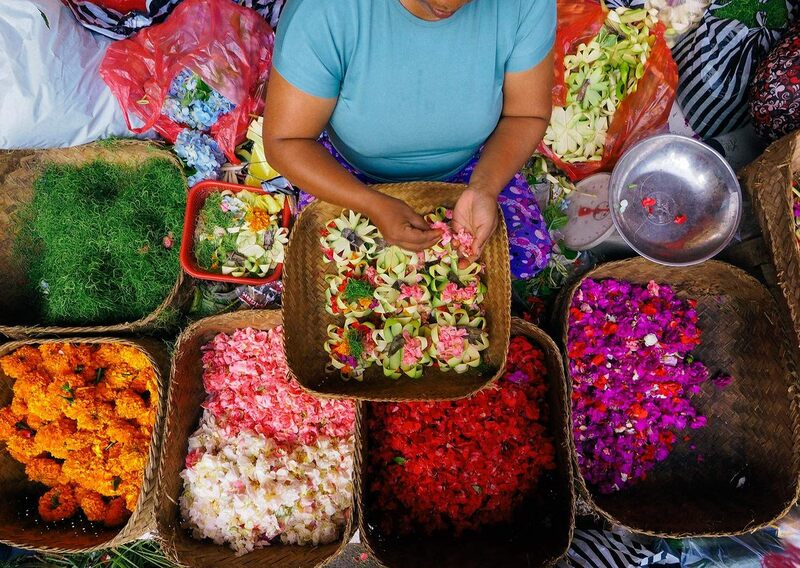 For Balinese people Canang Sari is very meaningful and an important part of daily life. Everywhere you walk, the streets and temples are cover with them. Stepping on one can be deeply offensive to any Balinese who witnesses your mistake. So please watch your steps, especially early in the mornings when they have just been placed and the incense are still burning.